Those beginning days with recorders can be trying. Progress is often slow, and early concepts need to be reinforced. That's where Dexter and his friends come to the rescue. First introduced in Recorder Classroom magazine, our lovable dragon and his friends face the same challenges your beginners do. 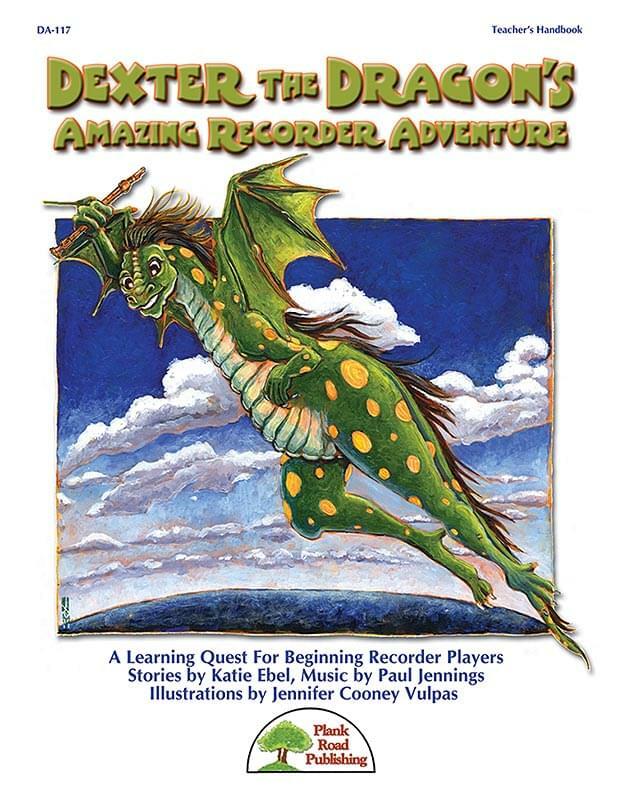 The kit features four illustrated stories, each tied to steps in learning the basics of recorder playing, from instrument care to tone production, practice habits, and the actual technical challenges of learning beginning songs. Each story can be used as a read-along, and all pages are legally reproducible. (If you have the Downloadable or CONVENIENCE COMBO KIT you can print from the PDFs and/or use them with a projector or an interactive whiteboard.) At the end of each story there are review and discussion questions to reinforce what has been learned. The kit contains four progressive songs, each covering a little more technical territory. The first song, "Dexter Takes Off," can be played with just the note B, and once the students have learned the note A, the song can be played with both notes. It also works with some students playing each version, a handy thing as some students progress more quickly than others. Each song works to further what the students have learned.